Web-based IM service Meebo is a text-book case of how to build a brand (and traffic) with widgets on other sites. As we’ve noted in the past, the bulk of Meebo’s traffic comes from Meebo Rooms and other widgets embedded on other sites, including Facebook. Some new comScore Widget Metrix numbers pan this theory out. 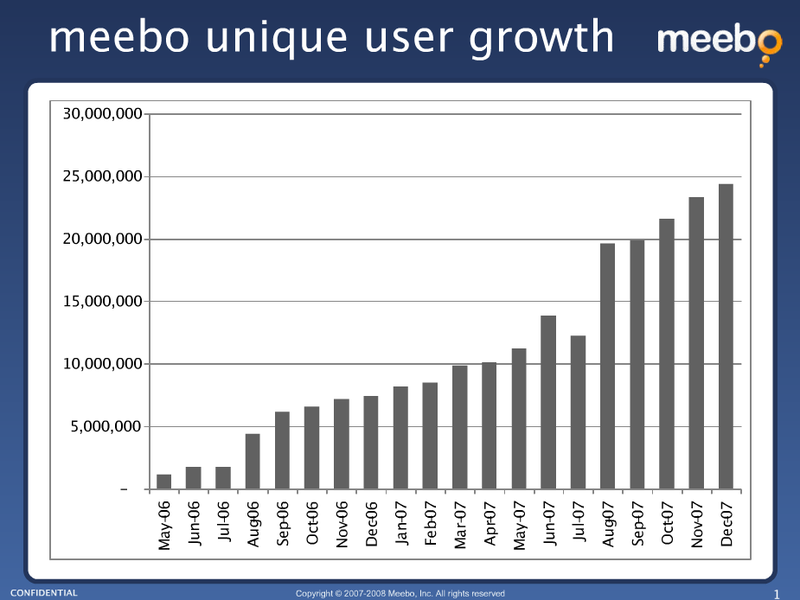 In October 2007, the most recent period available, comScore measured 6.3 million people in the U.S. who actively engaged with a Meebo widget, compared to 1.2 million who visited Meebo.com. 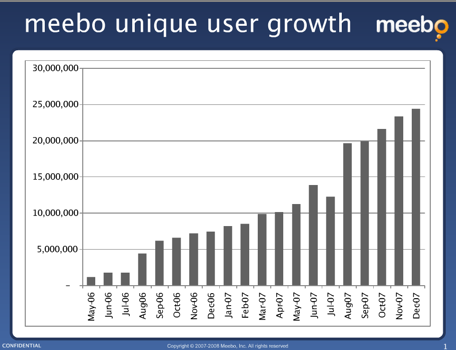 Worldwide, Meebo widgets engaged 19.8 million people, compared to 4.3 million for the site. So in the U.S., Meebo is getting 84 percent of its traffic through its widgets, and 82 percent worldwide. Yet the site still gets higher levels of active engagement than the widgets. All told, Meebo transfers 150 million IMs a day, and only about 20 million of those are generated in Meebo Rooms.